natyra® is a new organic apple variety that is cultivated organically. natyra® has an excellent shelf life and is naturally resistant to scab, therefore, only very limited use of crop protection methods is necessary. Magic Star® is a conventional variety that is a cross between Elise and a scab resistant selection. The harvest time is around that of Braeburn. This scab resistent variety produces firm and appealing fruits that not only have a crunchy bite and a sweet taste, but also have a remarkably long shelf life. 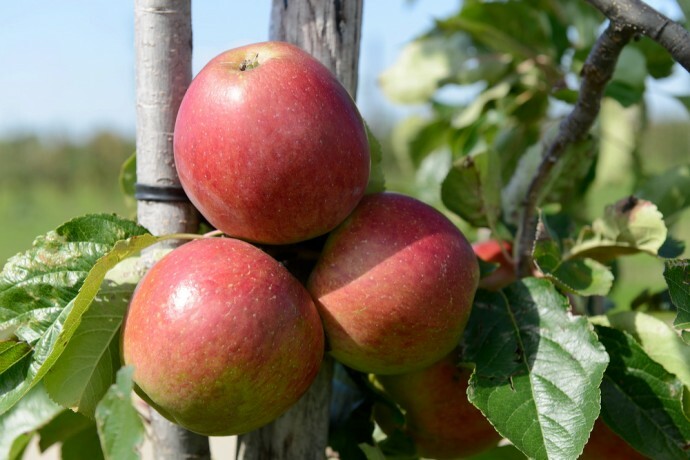 Elise is a productive apple variety, which is part of the Jonagold segment. Elise is not prone to biennial bearing and is a steady grower. 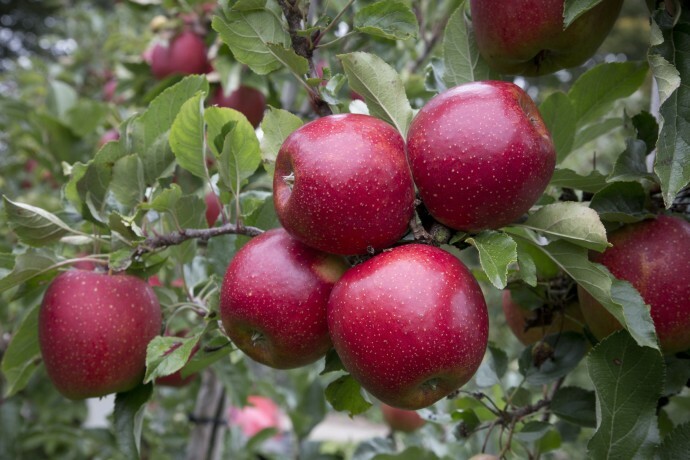 These attractive apples have an excellent, fresh taste. 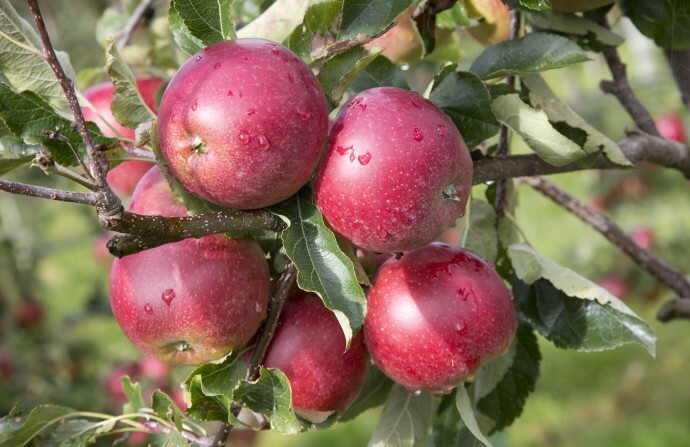 Bellida is an apple variety with an excellent, sweet taste. It has an attractive, glossy greenish yellow colour with a red blush (50-75%). It is an excellent quality apple. This variety is a cross between Idared and Elstar. Bellida is a mid season ripening variety, which is picked approximately one week after Elstar.